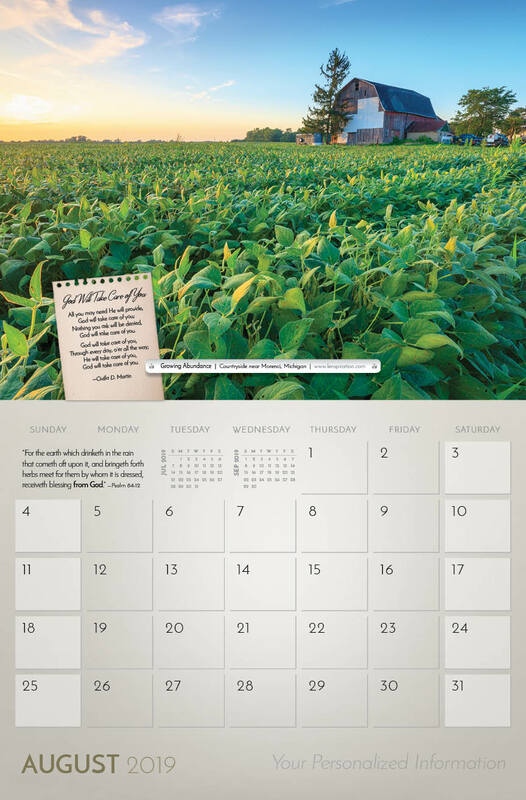 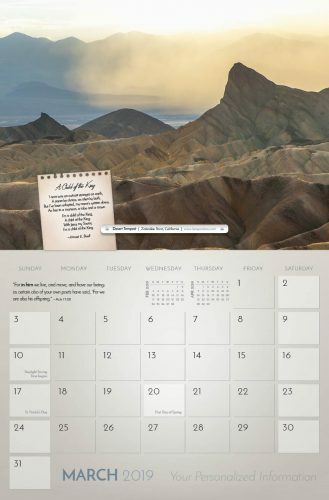 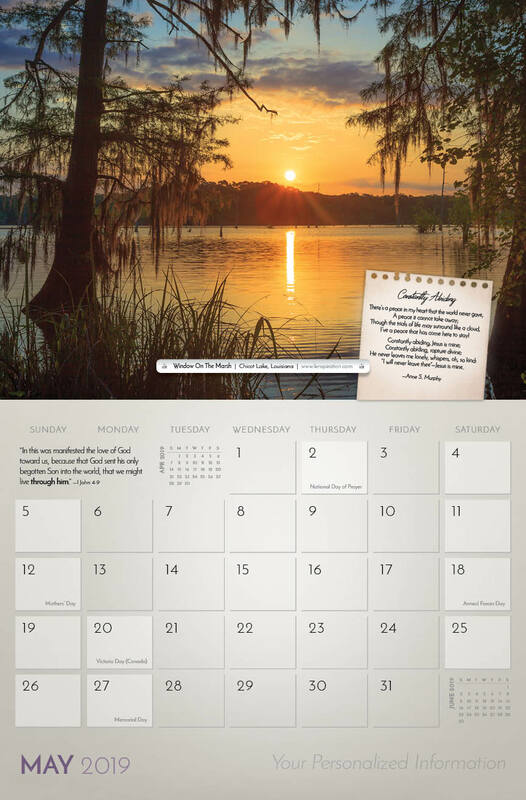 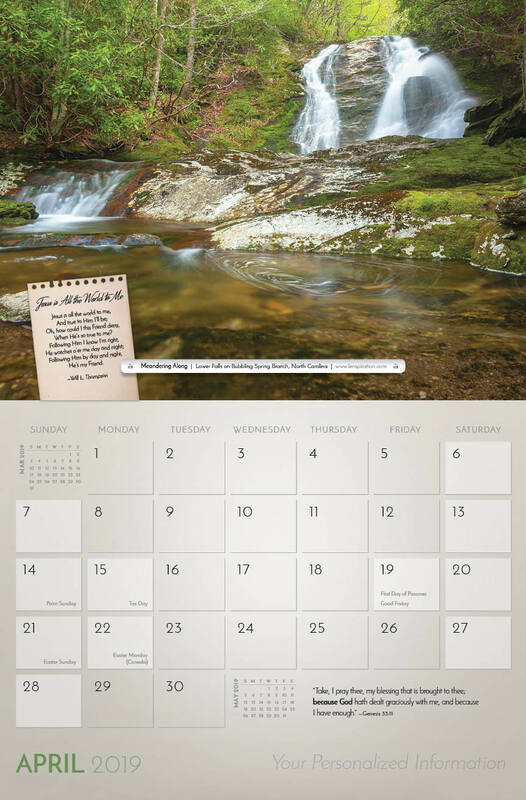 Break forth in singing praise to the Creator with the new “He Keeps Me Singing” 2019 Lenspiration calendar! 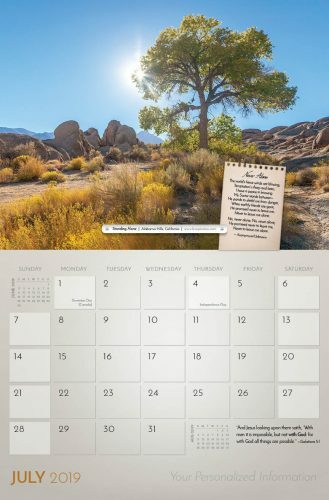 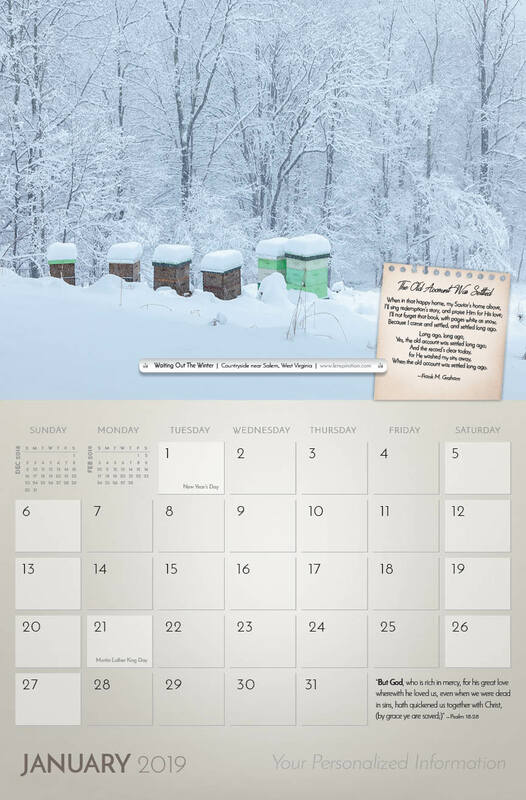 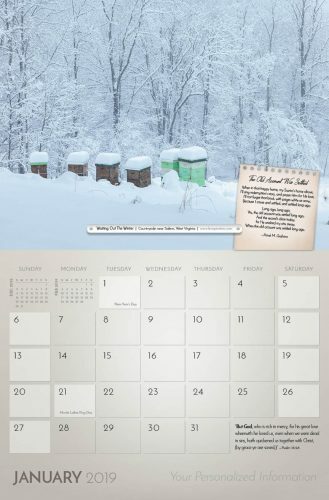 The Personalized version of the calendar allows you to add your own personal info on the cover, on every month, and on any of the 365 days of the year. Promote or advertise a business by adding your logo, some coupon codes and any information you want to put in front of your audience. To raise money or promote your ministry, you can use the personalized areas to display events, request donations, and provide contact information. For a practical gift to the entire extended family, add birthdays, anniversaries and special events! 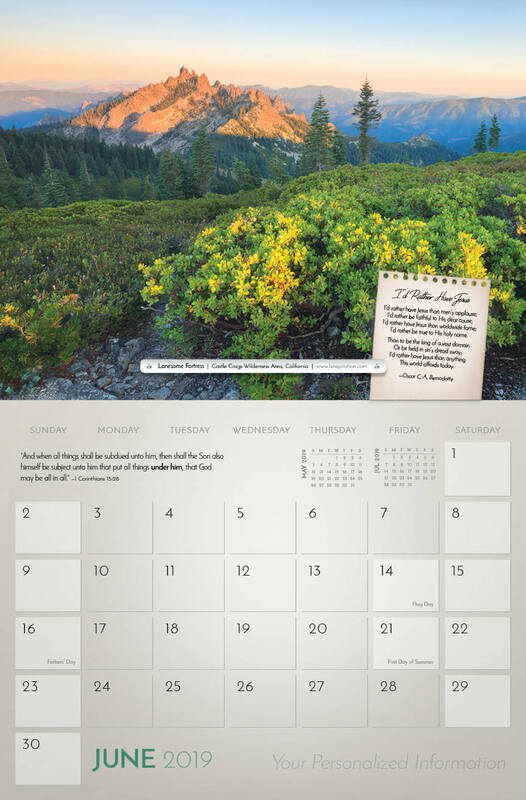 The possibilities for creating personalized calendars are endless. How your calendar is Personalized: Once you’ve placed an order for Personalized Calendars or have sent a request to Lenspiration, you will receive an e-mail explaining how to submit your personalized information. 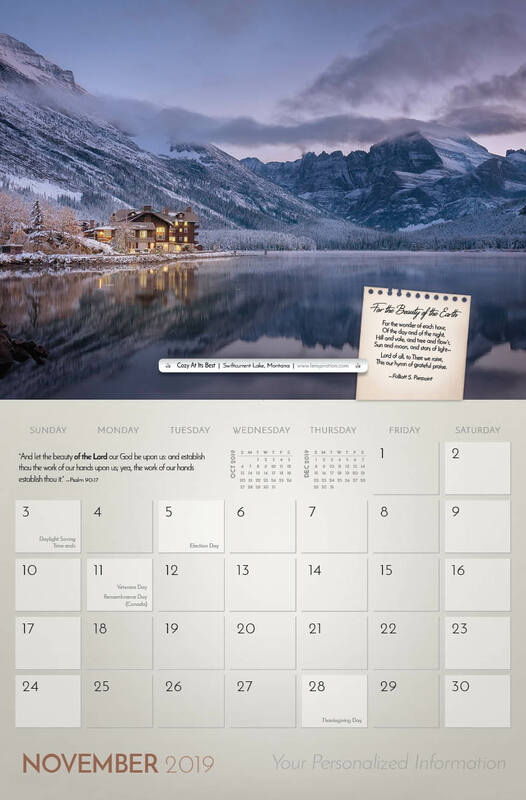 Once this information has been submitted, you will receive another e-mail with a soft-proof of what your personalized calendar will look like. 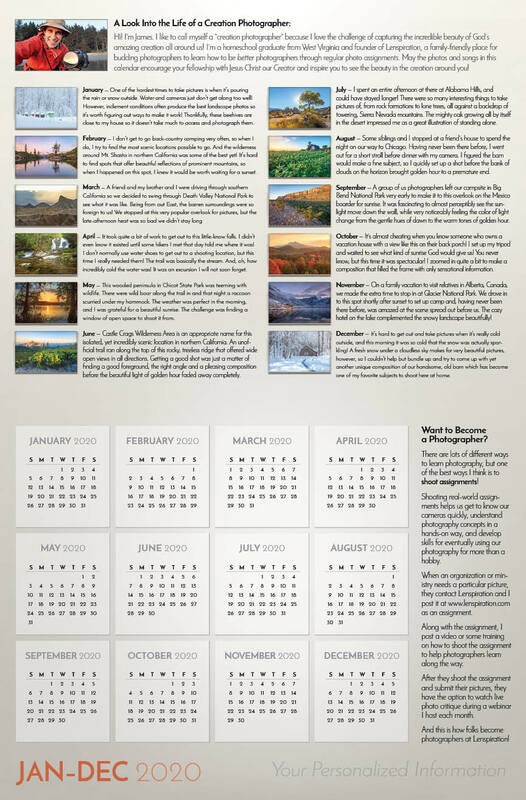 Changes can be made as necessary, but once you have approved your calendar, it will be printed and shipped to you directly. 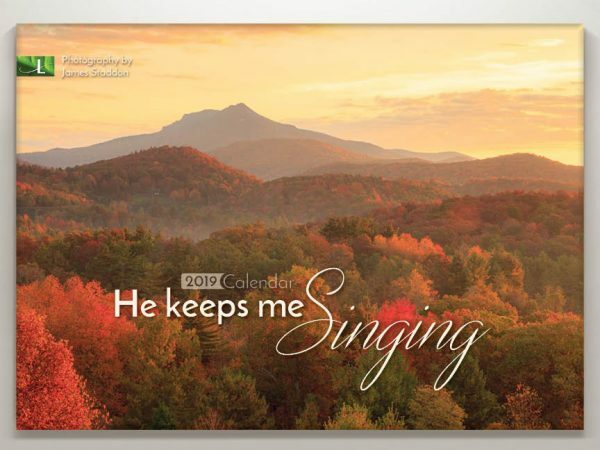 Please allow at least three weeks for printing and shipping. 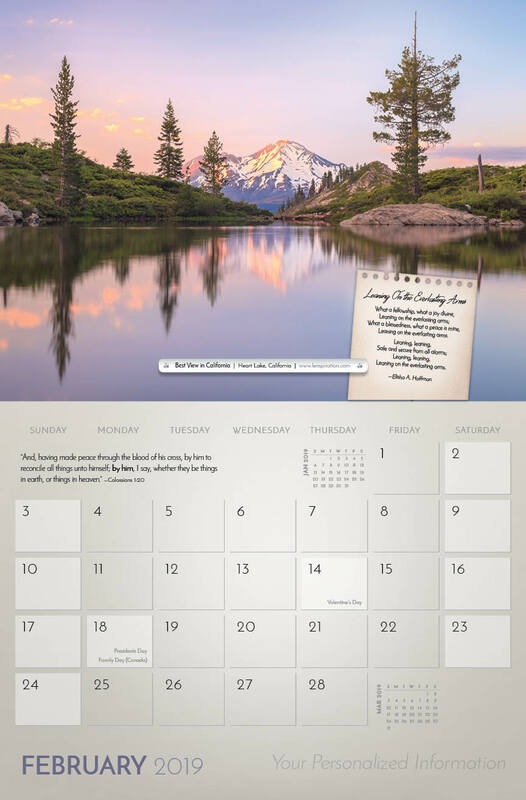 Want even more customization? 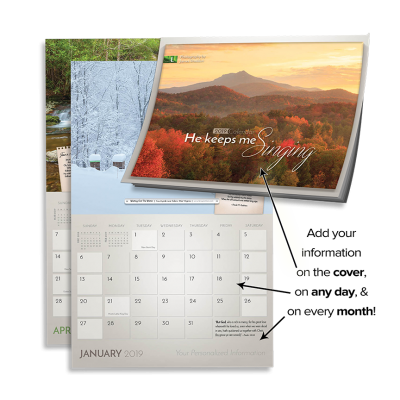 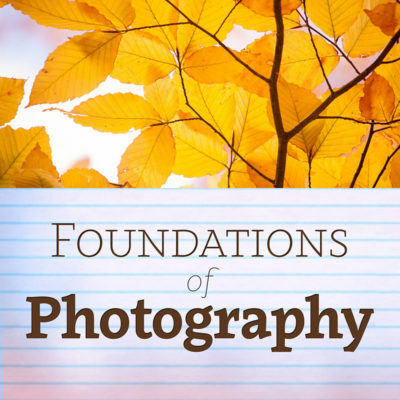 Lenspiration provides design and photography services for creating your own completely customized calendars. 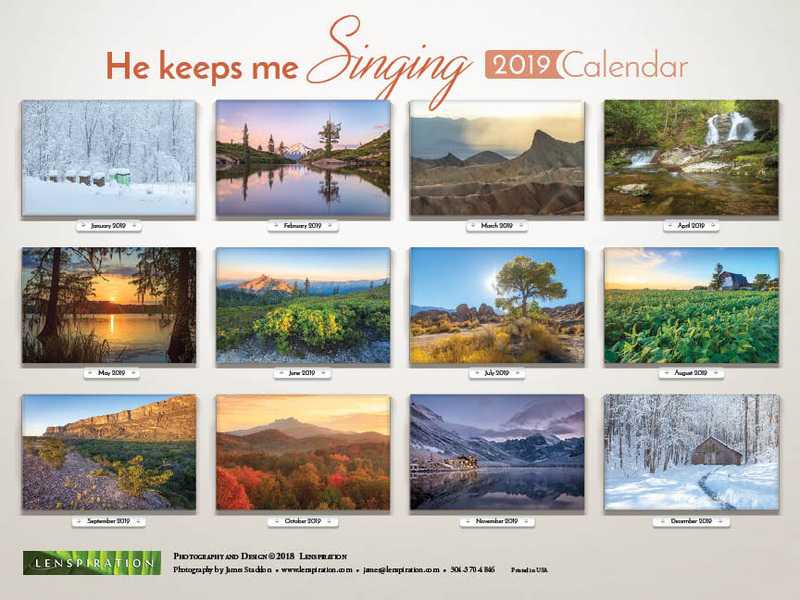 Contact James for details. 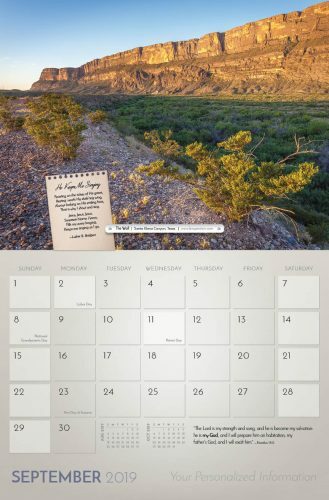 Increase the usefulness of your calendars! 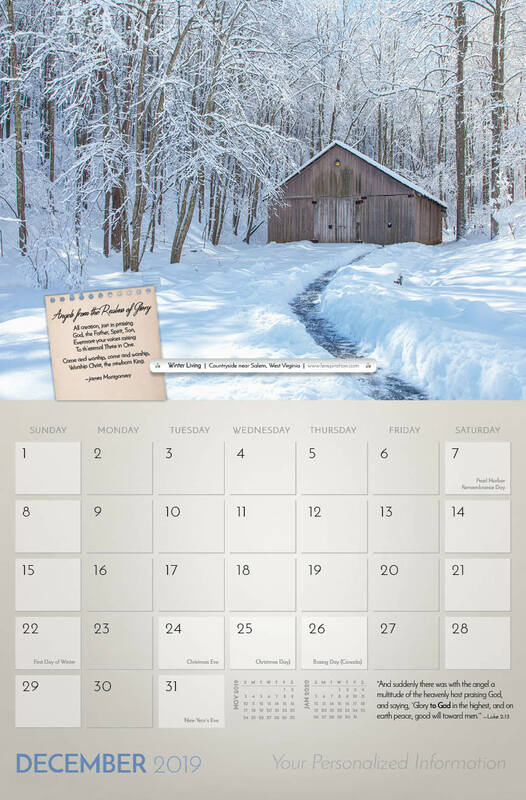 Add personalized info on the cover, on every month, and on any of the 365 days of the year! 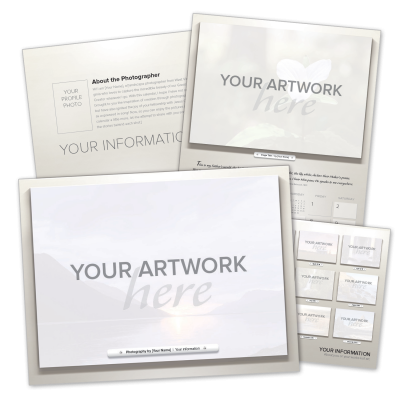 Promote or advertise a business by adding your logo, some coupon codes and any information you want to put in front of your audience. 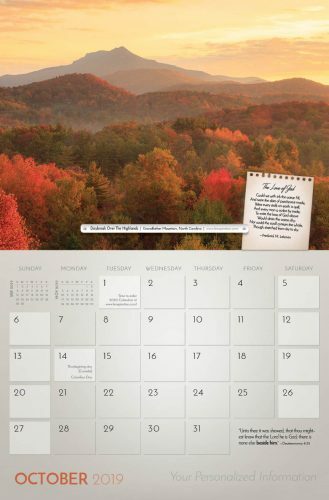 To raise money or promote your ministry, you can use the personalized areas to display events, request donations, and provide contact information. 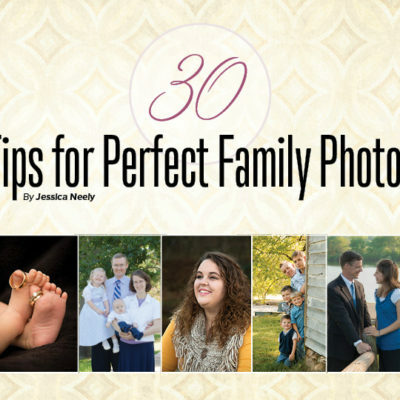 For a practical gift to the entire extended family, add birthdays, anniversaries and special events! The possibilities for creating personalized calendars are endless. 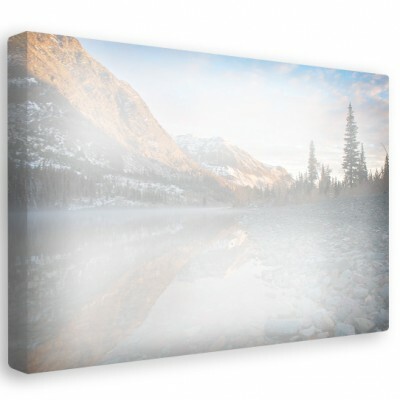 Lenspiration will print and ship you your calendar! 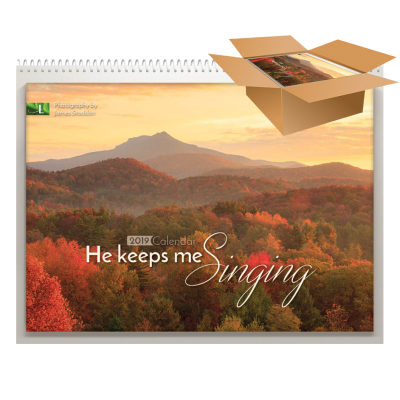 Please allow at least three weeks for printing and shipping.